This German Shepherd nicknamed Alfie sold and went to a new family. 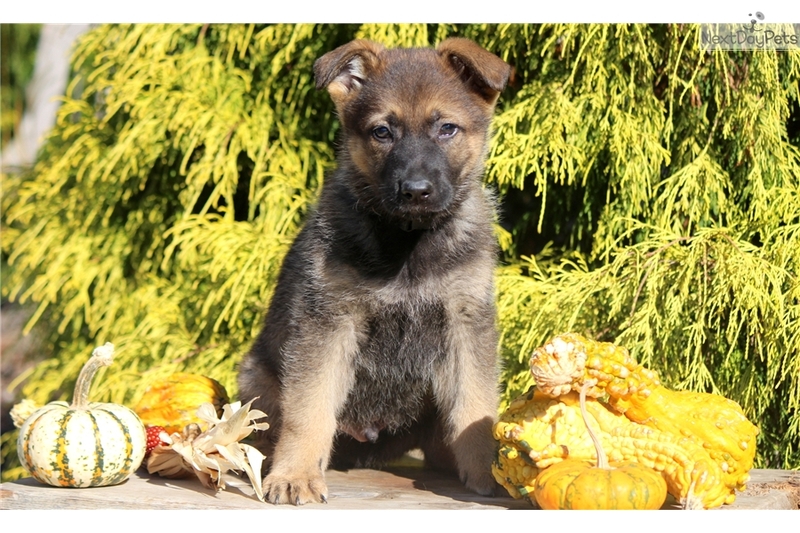 This is one outgoing German Shepherd puppy who will be sure to keep you on your toes! He is social, friendly and just loves people. This puppy is AKC registered, vet checked, vaccinated, wormed and comes with a 1 year genetic health guarantee. His loving personality will be sure to win you over. This pup was born on September 21st and his parents are Victoria and Rico Von Diamond. Daddy is OFA hip and elbow certified. Please contact us for more information or check out our website at www.keystonepuppies.com for pictures of all of the puppies.